If you have a Windows device and you haven’t upgraded to Windows 10 yet, you might want to. Back in May, Microsoft announced that the free upgrade offer, a first in Microsoft history, will end July 29. If you haven’t upgraded by then, you’ll have to either buy a new device with Windows 10 already installed, or you’ll have to shell out the $119 it costs to buy the software. Advanced Tech – Obviously, most upgrades promise some sort of technical improvements. Windows 10 is no different. When you install Windows 10, you’ll get the digital assistant Cortana, who functions much like a Microsoft version of Siri. You’ll be able to keep all of your old apps through the upgrade, the new system is supposed to be considerably faster, and as a bonus, this the most secure version of Windows to date. You’ll get all kinds of free spyware and malware designed to keep your computer, and your information safe. 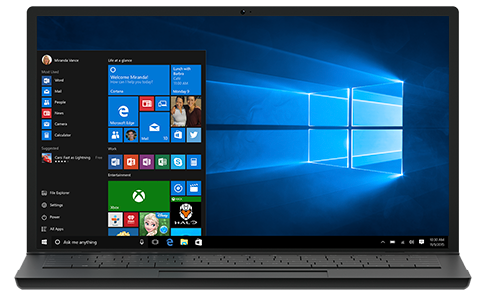 Familiar & User-Friendly – Windows 10 was specifically designed to be familiar to Windows users. Many Microsoft devices still Windows 7 versions of the system because the Windows 8 upgrade was so radically different that users were reluctant to switch over. Windows 10 aims to fix this problem, and allow people to upgrade for a better experience, without the learning curve. In addition to that, Windows 10 will increase device compatibility. The new system will ensure that all of your devices, phone, tablet, laptop, and desktop work together seamlessly. Um, it’s free – We mentioned this already, but just so we’re clear: the upgrade is free. And not only will you get all of the immediate benefits that come with Windows 10, but you’ll get free upgrades to the existing system in the future. That means when Microsoft launches new improvements, like their Anniversary Update later this summer, you’ll get all of that improved technology for free too. If you don’t have Windows 10 by July 29, you’ll either have to buy it, and then pay for the new upgrades to it, or you’ll need to get a new device. We recommend you skip the hassle and just get everything for free now! The bottom line? The Microsoft Windows 10 free upgrade train leaves the station on July 29. We hope you’re on it! You can read the full article on the Windows blog.